The Animal Selection, Genetics & Genomics Network is a forum for scientists exploring the impact of genetic technologies for managing livestock greenhouse gas emissions. 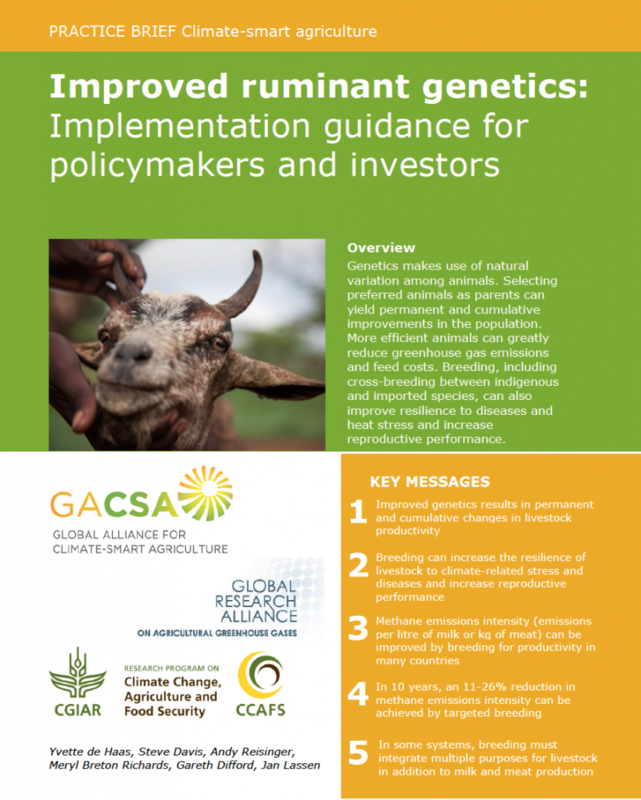 Using genetics to mitigate methane emissions from ruminant livestock requires a significant resource of different breeds and species, and access to unique scientific skills. The Animal Selection, Genetics and Genomics Network (ASGGN) of the Livestock Research Group offers an environment for scientists from around the world to share information and data. The set-up of a Feed and Gas Working Group as part of the International Committee for Animal Recording (ICAR), focused on information exchange relating to recording and using dry matter intake data and methane outputs data. Criteria for data sharing, combining and analysis (including meta-analysis among all contributing parties). The Network is also looking at developing a potential study on breeding goals and how they differ globally, and developing a better biological understanding of heritability. It is also interested in the role of genetics in adapting to climate change, including identifying knowledge gaps for further research. The most recent Network meeting was held February 2018 in the margins of the World Congress on Genetics Applied to Livestock Production in Auckland, New Zealand.